Deep tissue massage is designed to relieve severe tension in the muscle and the connective tissue or fascia. It is often recommended for individuals who experience consistent pain, are involved in heavy physical activity (such as athletes), and those who have sustained physical injury. It is not uncommon for receivers of deep tissue massage to have their pain replaced with a new muscle ache for a day or two. Premium service unique to Lenox Hill Massage & Physical Therapy. We have on-staff therapists that specialize in treatment for chronic or acute pain and injuries as well as stroke patients. We work with your doctors as well as MRIs and x-rays to properly treat your pain. Please call us if you have any questions. From 3 months of pregnancy until birth. This very special massage is specifically designed to reduce stretch marks as well as improve circulation for both mom and baby. Specifically targets the sciatica, lower back pain and muscular tension to decrease swelling in the legs and relieve pain points that are very common in pregnant women. We have a special pregnancy table and use all organic products creating a very safe environment. ONLY After your OB/GYN approval. This treatment is focused on restoring functionality and circulation to prevent injuries as you become more active after pregnancy while also reducing stretch marks. The soothing nature of the massage promotes a sense of calmness, which aids in managing post-partem depression. An active massage that includes stretching, range of motion and both active and passive release of sport specific muscle groups and trigger points. We have therapists, with years of experience treating professional athletes, that can provide both post-game and pre-game treatments. Please call us to find out more. Manual lymphatic drainage (MLD) is a type of massage based on preliminary evidence which is hypothesized to encourage the natural drainage of the lymph, which carries waste products away from the tissues back toward the heart. The lymph system depends on intrinsic contractions of the smooth muscle cells in the walls of lymph vessels (peristalsis) and the movement of skeletal muscles to propel lymph through the vessels to lymph nodes and then to the lymph ducts which return lymph to the cardiovascular system. 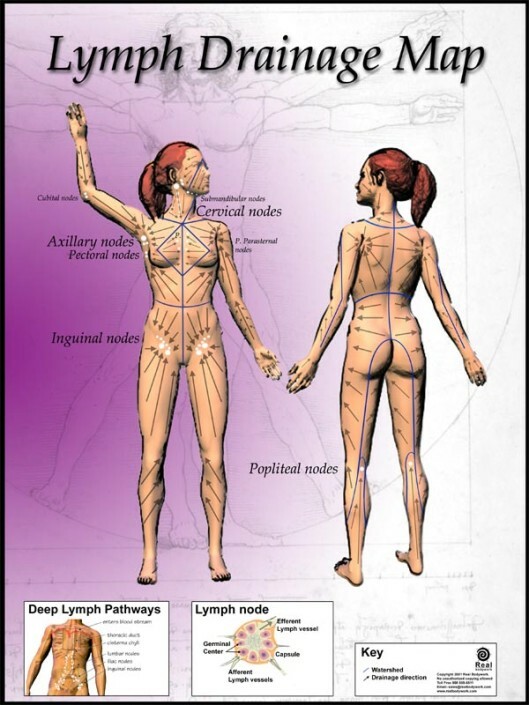 Manual lymph drainage uses a specific amount of pressure (less than 9 ounces per square inch or about 4 kPa) and rhythmic circular movements to stimulate lymph flow.Clinical studies of MLD conclude that further study of the practice is required before recommending it as an effective health treatment. Physical therapy (PT), mostly known as Physiotherapy, is a branch of medicine that, by using mechanical force and movements [Bio-mechanics or Kinesiology], Manual therapy, exercise therapy, electrotherapy and various physical therapies who practice evidence based treatments, remediates impairments and promotes mobility, function, and quality of life through examination, diagnosis, prognosis, and physical intervention. It is performed by physical therapists (known as physiotherapists in many countries).